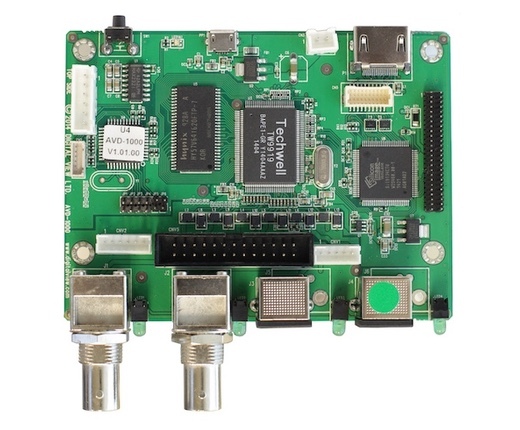 The SP-1920 LCD controller is an interface board converting video signals such as HDMI, DVI, VGA and Composite to the signals required by compatible LCD panels such as from AUO, BOE, Innolux, LG Display, Samsung, Sharp and others. It also provides media playback, image management functions as well as monitoring and control features for the finished monitor or display system. The SP-1920 is supported by a wide selection of panel connection cables and other accessories together with system development documentation, 3D drawings and engineering support for customization. The SP-1920 is the Full-HD version of the 'SP' LCD controller family, other models include the SP-4096 and HSP-4096 models for 4K panels and video. 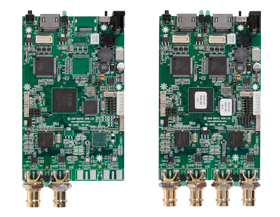 The feature set of the SP-1920 ensures suitability for many commercial display applications such as digital signage and corporate AV. 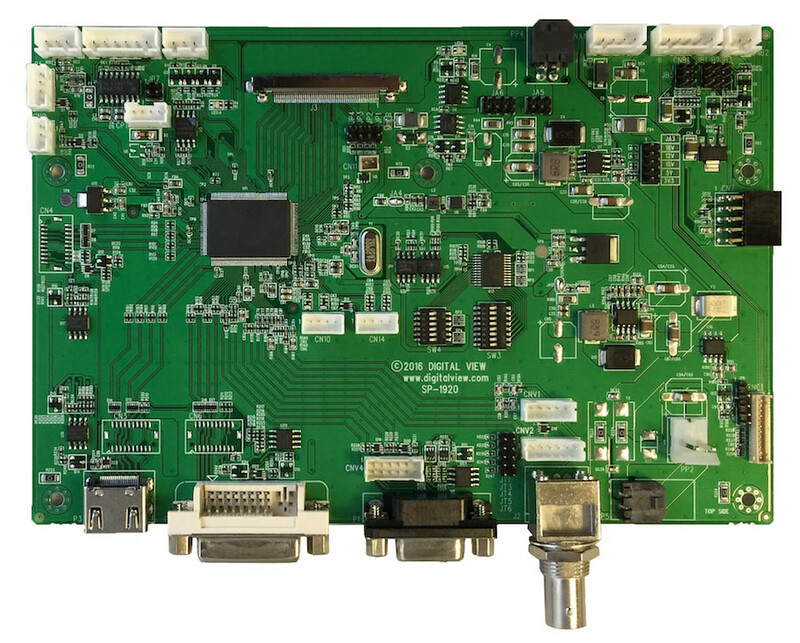 A full summary of Digital View LCD controllers can be seen here LCD Controller Summary. Customization: Contact us for details of customization options. Serial Port (RS-232): For connection and commands see manual. Additional: Input source select, Auto source seek, Auto picture setup, Auto color gain, Manual clock & phase, OSD timeout, OSD menu transparency, Image orientation, System Information, Image scaling -Up/Down scaling to fit input to panel resolution & aspect ratio, Gamma, Aspect/Size, Menu language (English, French, Spanish), OSD timeout, Programming Hotekey 1&2, Auto power, Video standard, Volume. Load factory defaults.